An eco-tour is an educational experience that teaches people about the environment. Our guides educate our guests about the uniqueness of the Coastal Redwood eco-system and love sharing facts about the Forest. Imagine soaring through the air amidst giant trees and experiencing nature from a different perspective. After strapping on a specially-designed 2-piece seat and chest harness, ziplining lets you zoom from platform-to-platform, high in the sky. Attached to your harness is a carabineer, a metal loop that secures you to a wheel on a cable that’s strung from one tree to another. Together, this high-flying equipment allows you to glide effortlessly through the forest and take in the beauty of Northern California’s Coastal Redwoods. All adventure activities done above the ground carry certain inherent risks. We have taken numerous steps to mitigate these risks. Our course was built to meet or exceed ACCT professional standards (www.acctinfo.org). Our Guides provide basic training, a thorough safety briefing, and a quick demonstration to introduce you to the world of ziplining. In flight training, you’ll learn the basics of sitting in your harness and braking techniques while our Guides handle attaching your carabineers and trolleys to the ziplines. Your safety will be highly dependent on following your Guide’s instructions and the procedures we teach you. Our trained staff inspect all equipment, landing platforms, and ziplines daily for your safety and confidence. What if I’ve never done a zipline before? Don’t worry – our experienced tour Guides have been trained to help new zippers become experts in no time. The majority of our guests are first time zipliners! Just follow your Guide’s directions – you’ll do fine. Are kids able to zipline? Yes, the children must be 10 years old AND weigh 70 pounds. Children under the age of 16 must be accompanied by a parent/adult on the Canopy Tour experience. What are the requirements or restrictions? Each participant must be 10 years old and weigh a minimum of 70 pounds up to a maximum of 250 pounds. Children under the age of 16 must be accompanied by a parent/adult on the Canopy Tour experience. Sonoma Canopy Tours is designed for participants in reasonably good health. There are some stairs to climb and each participant must be able to put their arms above their head to be able to slow themselves on the lines during the tour. That’s it! Each participant must be able to follow your Guide’s simple directions, climb a 30 feet spiral staircase, and be willing to rappel down at the end of the tour – with your Guide’s help, of course. Even though ziplining doesn’t take much physical effort, we encourage you to consider your comfort level with heights and the number of ziplines on the tour – people with a serious fear of heights should not participate. In addition, ziplining is not for those with recent joint or bone injuries, heart conditions, or pregnant women. You may not participate in the canopy tour is you are: Pregnant or think you may be pregnant; Under the influence or have consumed alcohol prior to the tour, used illegal drugs, or legal drugs the guide may consider will impair you in any way. Heart disease or any other cardiac condition that may require immediate medical attention; Hemophilia; Take any blood thinning medications; Epilepsy; Asthma; Diabetes; Insulin dependent; Severe allergic reactions; Severe, recent, reoccurring or existing injuries. If you feel like you have questions regarding you or someone within your group whose ability to participate in one of our courses due to a recent injury, disability, or visual impairment, we require that your canopy tour be booked in advance so that our staff can be prepared to accommodate you. Please notify us 48 hours prior to your booking so that we can discuss the details of your visit. Our Classic Course contains seven zips which vary in length and speed, topping out at approximately 25 miles an hour. We utilize a hand braking system operated by the participant which requires active participation. The tour guide provides hand signals to the participant signaling when it is time to slow down when approaching the platform so that they arrive at a safe speed. If a participant with a vision or other impairment is on the tour, the tour guides will use their voice (amplified by a megaphone) and will tap on the line to signal when it is time to slow down. The visually impaired participant must follow voice commands and line tapping by the guides. On the Challenger Course, the guides operate the breaking system and there is little active participation involved for the participant. As a general rule for all adventurers, failure to demonstrate the ability to safely brake before the platform may lead to Sonoma Canopy Tours staff canceling the tour mid trip, at which point the participant will be lowered to the ground and returned to the main office. What if I have an impairment? At Sonoma Canopy Tours we are committed to serving all people of varying abilities and backgrounds. Before zip lining on our course, all participants will need to demonstrate the essential functions of zip lining on our ground school practice cable. Safety is our primary goal. These functions include: self-braking with their hands; walking up a flight of over forty steps; keeping their body straight while zip lining; following directions and signals from our guides; and understanding instructions in English. Our Classic Course contains seven zips which vary in length and speed, topping out at approximately 35 miles an hour. We utilize a hand braking system operated by the participant which requires active participation. The tour guide normally provides hand signals to the participant signaling when it is time to slow down when approaching the platform so that they arrive at a safe speed. If a participant with a vision or other impairment is on the tour, the tour guides will use their voice (amplified by a megaphone) and will tap on the line to signal when it is time to slow down. The visually impaired participant must follow voice commands and line tapping by the guides. On the Challenger Course, the guides operate the breaking system and there is little active participation involved for the participant. As a general rule for all adventurers, failure to demonstrate the ability to safely brake before the platform may lead to Sonoma Canopy Tours staff canceling the tour mid trip, at which point the participant will be lowered to the ground and returned to the main office. Yes! We operate year round, rain or shine, check tour website for dates and times, they vary throughout the year. Yes, reservations are required and guarantees your spot(s) on a flight. Booking your reservation may be accomplished by calling 1-833-227-8510 or securely online. How do I pay for my canopy tour? Payment for your tour may be made using Visa, MasterCard, American Express, or Discover Card through our secure payment site. Debit cards are accepted on our secure payment site as well, if you would like to pay by check or money order you must call 1-833-227-8510 and make your reservations over the phone. Your payment must be received 7 (seven) days prior to your tour date. Can I bring a group of over 8 people? Yes, we can accommodate large groups! Please call 1-833-227-8510 and allow our sales team to facilitate the booking. NOTE: Group discounts must be paid with one credit card and the time of booking and group discounts may not be combined with any other discounts. Wear comfortable clothes, recommendations are below, (please no skirts or dresses). Closed-toed shoes that secure to your foot (such as tennis shoes) or hiking boots are great year-round. Long hair should be pulled back in a pony tail and make sure you secure your glasses with a strap! Keep your pockets free of any sharp object, like keys or pens. We provide secure storage for all of your valuables in the Gift Shop! We also provide the harness, the helmet, and the gloves. For the winter, synthetic fleece or wool jackets and long underwear are suggested. When cotton clothing gets wet it may not shed moisture and may make your colder. Rain Coats and Rain Pants work best, we rent them in our Gift Shop from November through May! We do not sell rain gear. We operate rain or shine, “zipping in the rain” can be fun and exhilarating if you are dressed appropriately. Synthetic fleece or wool jackets and long underwear are suggested. When cotton clothing gets wet it may not shed moisture and may make you colder. We ask that you arrive at least 30 minutes prior to your scheduled tour time. This will allow enough time and preparation for your ziplining experience. If you are late you may not be able to join your tour. Your tour and guide will leave as scheduled whether you are there or not. Please make sure to check current road conditions on local highways and account for slow travel (and bikers) on nearby country roads when planning your visit to Sonoma Canopy Tours. What if I am late for my canopy tour? No refunds are given for late arrivals. If you arrive late and we have to start your tour without you, we’ll make every effort to put you on a later tour if there is availability. We ask you to arrive at least 30 minutes prior to your reserved tour time to allow for check-in and flight preparation. Why can’t I use my GPS, Mapquest, Google or Yahoo maps? Sonoma Canopy Tours is located in rural area in the midst of Sonoma County. GPS and maps/directions generated on the internet may be inaccurate. We ask that you and your group arrive 30 minutes prior to your flight, most of our guests appreciate the directions provided on the Sonoma Canopy Tours website and the Confirmation e-mails. NOTE: Cell phones may not work so the directions provided are the best to follow. When would you cancel a tour due to weather conditions? Tour cancellation is at the discretion of SCT Management. We will cancel a tour due to severe weather conditions that might include high winds, lightning or intense rains. Sometimes these conditions start and end quickly and last only a short period of time, so it may not impact the entire day. If your tour is cancelled, SCT will make every effort to reschedule your tour at a time convenient for you. We have a 7 day cancellation policy. If you cancel your reservation outside 7 days prior to your tour date, your payment, less a $20 per person administration fee, will be refunded to you. If you need to change your reservation date or time, you may do so one time, up to 7 days prior to your originally scheduled tour, at no charge. No refunds or reschedules will be given with less than 7 days notice. To reschedule you will be charged a $25 per person fee. Your tour reservation is transferable, so you can give it away or sell it if you choose provided they fall within the allowable weight range. If you arrive for your tour, and decide not to zip you will not be given a refund. If Sonoma Canopy Tours cancels your tour due to weather or other unforeseeable condition, we will reschedule your tour for another available time, or give you a full refund…your choice. We do expect you to arrive at least 30 minutes prior to your reserved tour time.If you are late, you will not receive a refund or be able to join your tour. Your tour and guide will leave as scheduled whether you are there or not. The canopy tour is designed for use by participants of average mobility and strength, and who are in reasonably good health. You must be 10 years old and weigh a minimum of 70 pounds up to a maximum of 250 pounds. You are responsible for knowing the weight and tolerance of heights of each member of your party. The guides may verify that each participant is within the age/weight parameters Refunds will not be given for individuals who change their minds or are outside the weight limit. Can I take pictures while on the tour? Yes, your camera strap will be attached to your harness by your guide. NOTE: Our gloves don’t work with cell phone screens. You can securely store your cell phone (and other valuables) in our Gift Shop. Sonoma Canopy Tours rents Helmet Cams to document your trip. Various packages are available, you may rent the Helmet Cam at the time your book your tour or upon arrival at the Gift Shop. Tipping is customary in the tourism industry, it is not required, but appreciated. We provide a Guide Appreciation box where you may leave a tip for your Guide team. How does ziplining benefit others? For each Canopy Tour we book, $1 goes toward at-risk youth, both locally and internationally. Locally, Sonoma Canopy Tours partners with at-risk youth organizations to provide a reward for these youth by providing the tours for free (or at a reduced price). Internationally, Sonoma Canopy Tours contributes to a day camp experience program for poor, oppressed, orphaned, at-risk, and HIV/AIDS-impacted children in South Africa. These programs have touched the lives of over 10,000 kids since 2002, helping the children and their families rise out of poverty by teaching them skills and teamwork. Your ziplining experience makes a difference. What is the relationship from Sonoma Canopy Tours to Alliance Redwoods?  Sonoma Canopy Tours is a pre-scheduled program of Alliance Redwoods Conference Grounds. This recreational activity is offered to both overnight and day-use guests. It encompasses both educational and spiritual objectives. Alliance Redwoods has a long history of environmental education programs to public and private schools students since the 1980s, and has facilitated zip-line, high ropes, and challenge course elements since the 1970s. The Canopy Tour combines aspects of both experiences into this eco-tour. Alliance Redwoods Conference Grounds is a Not-for-Profit Organized Camp available for rent to other Not-for-Profit organizations. For More Information call 707-874-3507and ask for the Sales Department. Feel free to call us 1-833-227-8510, or email us at info@sonomacanopytours.com. No, we do not allow pets on the canopy tour. Please leave them at home. Can we have a picnic at Sonoma Canopy Tours? No, the closest picnic spot is at Armstrong Woods or at the beach in Bodega Bay. I am not planning to do the Canopy Tour, is there somewhere where I can watch my friends? We have limited seating near the Gift Shop. You should be able to watch the last half of your friends’ tour. We ask that you stay near the Gift Shop and not hike on the property. Can I walk the grounds before or after my canopy tour? No, sorry. Sonoma Canopy Tours is the only activity Alliance Redwoods Conference Grounds opens to the public. Can I have my wedding at Sonoma Canopy Tours? No, but there are other terrific wedding venues in Sonoma County! Our non-profit organization is doing a fundraiser - can I get a donation? You may complete the Donation Form which located at the bottom of the Donations page under About Us. Sonoma Canopy Tours’ donation focus is at-risk youth organizations in Sonoma County and surrounding counties. Donation requests must be submitted at least 3 weeks in advance of the event. Where are some places to eat and stay in the area? For your convenience we have an entire page dedicated to Area Attractions right here. Check it out! Can I buy Gift Cards for Sonoma Canopy Tours? Yes, Gift Cards are available online on the upper right-hand corner of the website or you can call 1-833-227-8510. Gift Cards are great for Mother’s Day, Father’s Day, Graduations, Weddings, Anniversaries, Birthdays, Retirement Gifts, or Christmas. I’m a travel writer, who should I contact about an upcoming article?